Old Mc Donald never had it so sweet! 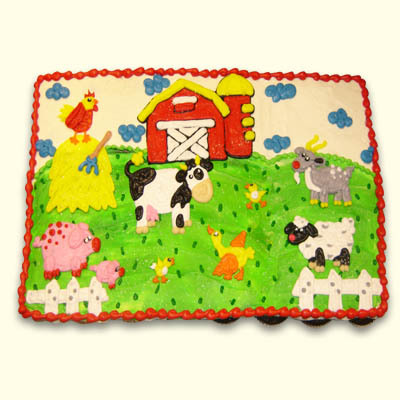 Our artists have created this Farm design on a bed of cupcakes. Select from 21 Enchanting flavors and for more fun, mix and match cupcake flavors! Serves 24, custom matched color and design available. 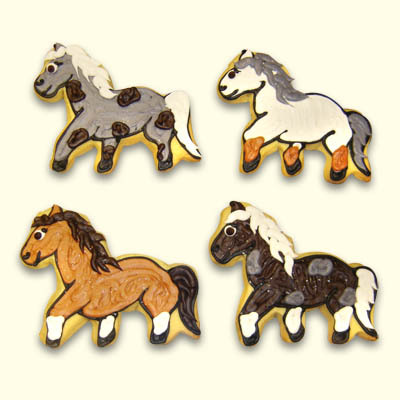 Order matching cookies in your favorite farm animals or shapes as favors for the ultimate celebration.